About Bates Mill Cemetery and its Families! Do you have historical information? The land for Bates Mill Cemetery was conveyed by Benoni Bates to his son Charles P. and his daughter, Rebecca Jessup on September 13, 1869, Book 60, pages 610 and 614 (Camden County NJ). In some of the earliest papers in the Cemetery file we note that Ehrke is spelled "Urkey." 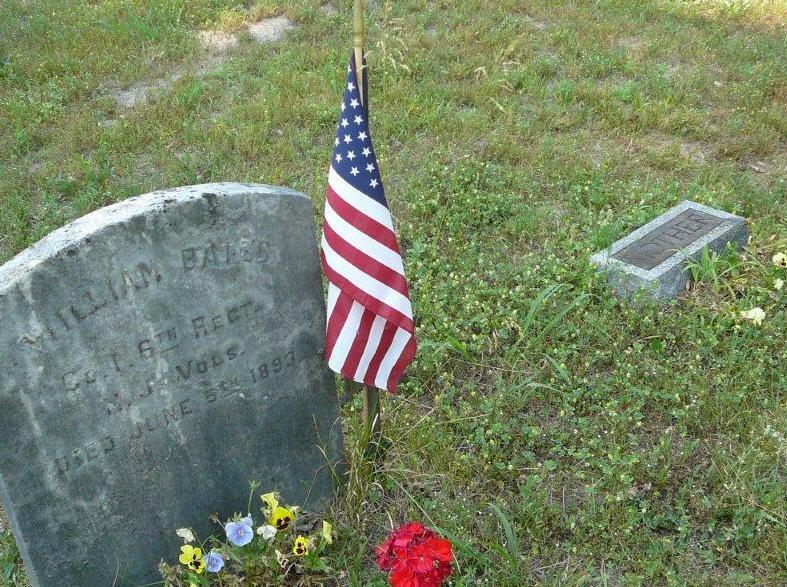 --Benjamin Bates b.7/20/1761 d. 1840 He served in the Revolutionary War and later operated the Bates Saw Mill. --David Bates, b. 1816 d. ?1860-1865? He was a sawyer and worked at the Bates Saw Mill. ---Note: There is a small gravestone marked "Mother" and is located just to the right of William Bates gravestone who died 1893. Could this be Elizabeth (Yourison) Bates as she was the mother of William. --Jurusha (sp) (Bates) Beebe d. September 12, 1852 was the wife of William Beebe. "...as you pace the cemetery, in the upper right hand corner are a lot of local sandstone markers all with the last letter..which is "B". "All Bates!" One in front row is C.B.B. (With the "C" being on Top)-Captain Benjamin Bates of the Revolution (1776). He captured Joe Mulliven (sp) and took him to be hung after capturing him a second time. The second time he caught him, Bates" had his hat shot off-in fact. By the way, the sandstone came from the other side of Bates Mill Pond. My great-grandfather was David Bates, my grandmother's father." About the middle of the 18th century, Thomas Cole built a sawmill in the area. It became known as "Bates Mill" after a line of successful ownership passed from Thomas Cole to Aaron Chew, Josiah Albertson, Benjamin Bates, John Albertson and finally Benoni Bates. The cemetery nearby was first opened when Thomas Cole built the mill. The oldest graves are marked only by rude brown stones with initials cut into them. Bates Mill Resting Place, Inc. The cemetery continues to be free of property taxes in Winslow Township (N.J.S.A. 54:4-4.4). This is re-evaluated every three years - at which time we have to complete and send a form indicating that we do not have plans to use the land for any other project. 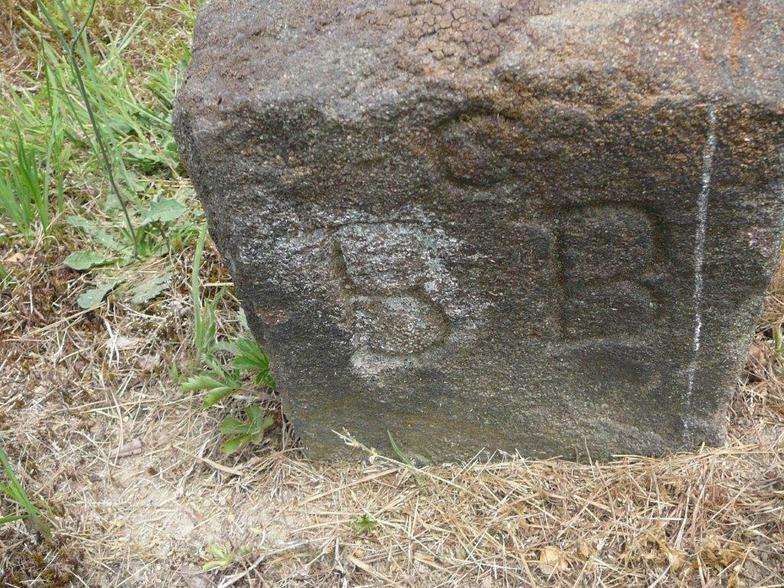 The name "Beebe" is found spelled many different ways on the stones..including "Beebee","Bebee" and "Beebe." 'I heard my grandmother - Ann Bates Walker - say that the original Bates started a saw mill at Bates Mill before the Revolutionary war. It is believed that he married an Indian maiden.